IT’S STILL SPRING…For One More Week! 16 Jun IT’S STILL SPRING…For One More Week! I woke up this morning after sleeping with an extra blanket and the windows wide open- it was chilly! Then I realized: it’s STILL SPRING for one more week. Good thing too, because on Monday I finally planted my tomatoes, peppers, eggplants, and cucumbers (although I forgot to bring home seed, that’s tonight’s little project). Why did I wait? First of all, I plant with the moon phases and this is the week. Secondly, I have been too busy, too exhausted, and it has been raining whenever I had the chance to plant. 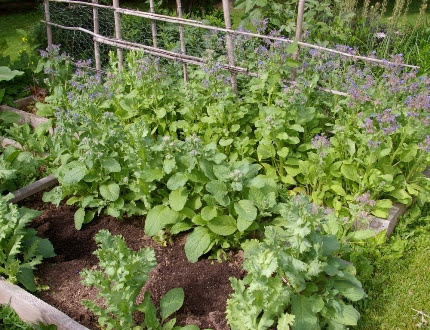 Plus, I had so much weeding to do, I couldn’t plant until I cleared things out. This week, why not squeeze in a few more tomato plants? If you need more room, plant them in a Smart Pot. Here is a link that shows just how easy it is to plant a Smart Pot, click here. I have 3 on the south side of my house. This year they are planted with heirloom plum tomatoes that I started from seed. Our organic veggie seedlings need a home, so we are putting them on sale at 30% off. Come on, you can fit in just a few more, can’t you? Don’t forget to grab some of our super-sturdy tomato cages. I fought with those old fashioned, circular ones over the weekend. They are bent and old and too wimpy to hold up an indeterminate tomato. Invest in the real deal and you will use them for the rest of your life and support the American company that makes them. Nine years ago the U.S. Senate’s unanimous approval and designation of a week in June as “National Pollinator Week” marked a necessary step toward addressing the urgent issue of declining pollinator populations. Pollinator Week has now grown into an international celebration of the valuable ecosystem services provided by bees, birds, butterflies, bats and beetles. Penstemon calycosus is a great native that we haven’t had on our benches in years. It’s back! It is so happy in my perennial garden at home. I love it and so do the bees. Natureworks is a SAFE HOUSE for pollinators. Being an organic garden center, our benches and our gardens are abuzz with life. People comment on it all the time. 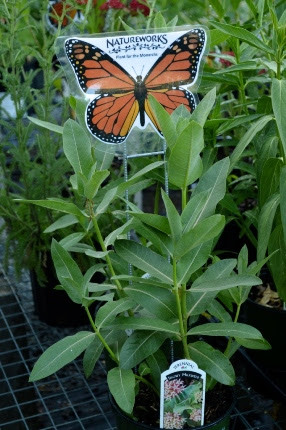 We specifically plant for them and carry tons of pollinator-friendly plants. 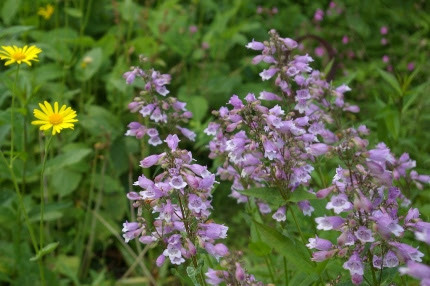 One of my favorites is Penstemon calycosus, the native calico Penstemon. I have been growing this in my perennial border for many years. It is very hardy and holds it’s foliage well after blooming. 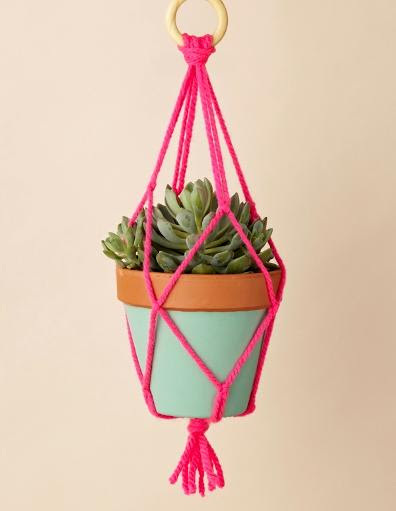 on how to make basic macrame for hanging plants. I totally cracked up when she proposed this as macrame was a huge fad back in my day in the 60’s and 70’s. Just like terrariums and sprouts, it has come back around. Macrame for the modern day is all over Pinterest and many of our vendors are selling it. If you really want to be on trend, use your new macrame hanger to hold a terrarium! You need to register in advance, please see the details below. and use the hair to make a pretty nesting ball! Only at Natureworks! 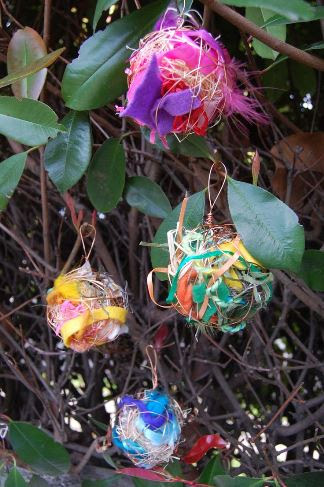 Following Jillian’s workshop, I will be teaching my next Playing with Flowersworkshop. I have gathered a lovely collection of vintage vases. 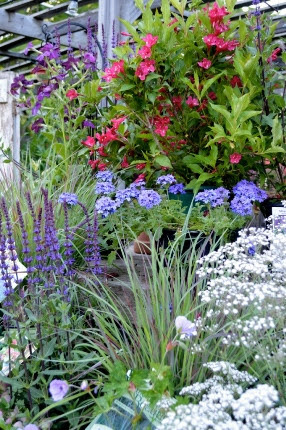 I will pick flowers from my home gardens and from Natureworks and you will arrange them in one of the vases and take it home to enjoy and refill for years to come. This is one of the BEST weeks for cut flowers. Campanulas, yarrows, roses, daisies, so many of our classic cut flowers are coming into bloom in the middle of June. If you think you can’t arrange flowers, think again! 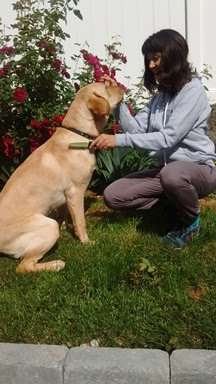 I will teach you how easy and fun it can be. Registration information is below. Class is limited to 8 participants and is a real bargain at only $15. 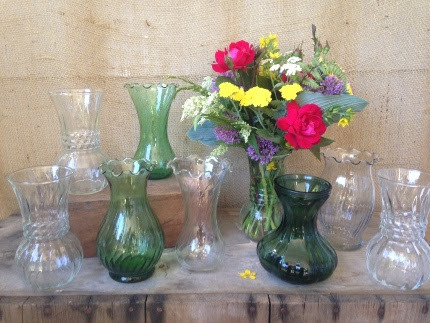 What a pretty collection of vases! Sign up for Playing with Flowers this Saturday and you can take one home, filled with flowers from my gardens. Details below. Saturday this week instead ofSunday and it’s her birthday, so let’s celebrate and eat cake! 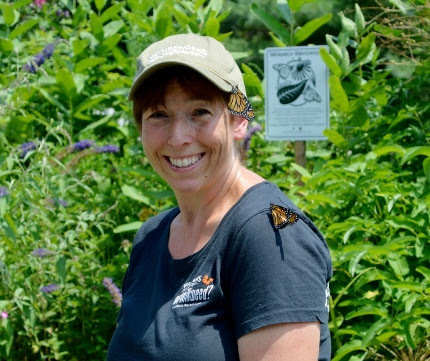 Diane has transformed Natureworks in a few short years and is deeply committed to organics, butterflies, pollinators, and teaching children to garden. She supplies me with the most stunning photographs and runs the Natureworks retail store like a tight ship. She is an amazing woman who deserves to be surrounded by grateful customers who support her work. Yay cake! Yay Diane St. John! On the left is an example of one of Diane’s gorgeous photographs. This is a display that she and her staff put together in a flash at Natureworks last week. Each day I walk in, it looks completely different! Weigela ‘Red Prince’, Salvia ‘Caradonna’, Verbena ‘Royal Chambray’- can you see why the hummingbirds, butterflies, and bees are so happy here? 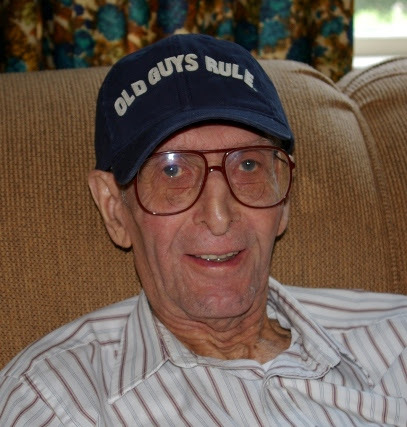 My dad. He was a character and a man of great integrity. the tools he gave me. If your dad loves to garden, bring him to Natureworks! 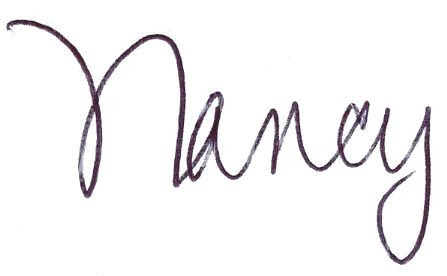 Call ahead and order a gift certificate for him. When he has picked out a few plants and is ready to check out, voila! Give us a heads up and we will present it to him. Dads love tools (mine certainly did) and always appreciate a quality pair of pruning shears, loppers, or a diamond honing stone. As you gear up for picnics and parties, fill your porch and patio with beautiful annual planters that Amber has been planting up for the past week. Invite the hummingbirds to visit with a feeder and a pretty basket of Calibrachoa (Million Bells) that they adore. Stock up on herbal incense and all natural mosquito repellent. Get outside every chance you have- these are the glory days of the garden, for sure.